Hi Stampers!! I'm excited, because tomorrow I'm leaving with a group of friends to travel to central Georgia for a scrappers retreat!!! 4 full days of fun!! 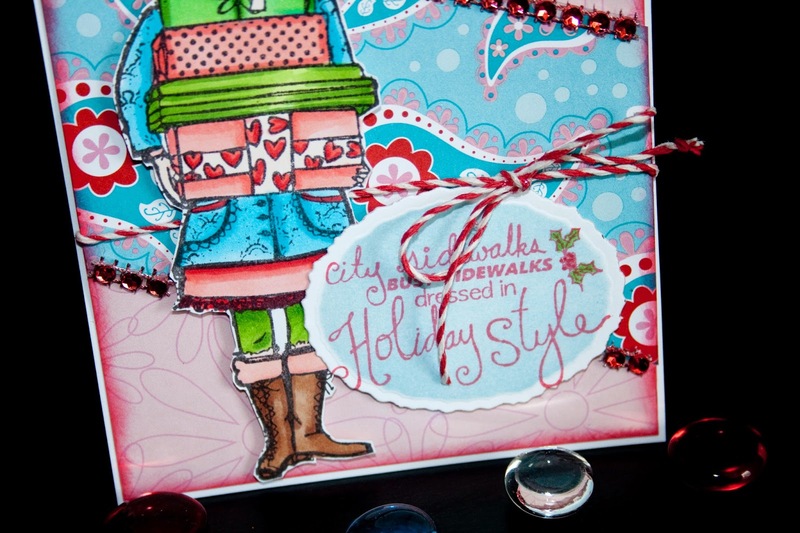 Here is my Unity share for today....City Sidewalks is a fun stamp to color with Copics. 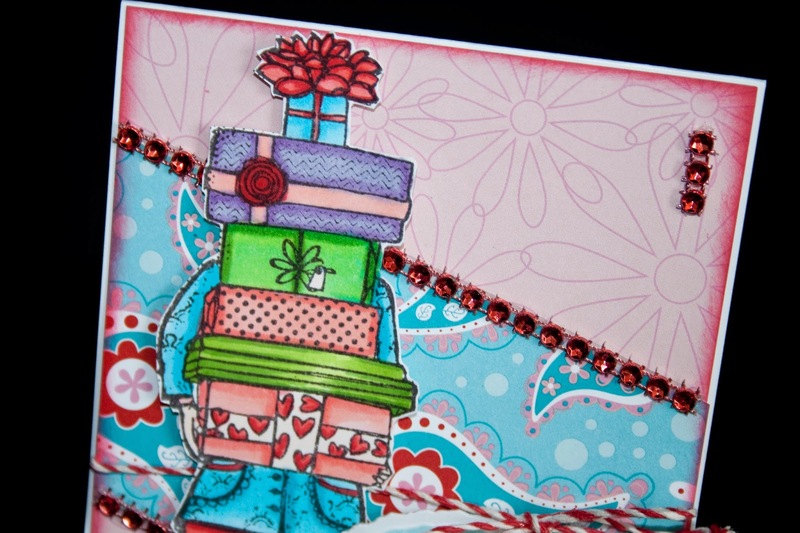 I went with non traditional colors and paper, but I think the look is great pulling it all together with the great red blingy rhinestones from Sparkle N Sprinkle. Have a great weekend and I will see you after the retreat! !